Dr. Eric Ploumis' orthodontic office has been caring for his Brooklyn and Queens patients for more than twelve years. Dr. Ploumis earned his undergraduate degree from Amherst College, his dental degree from the University of Pittsburgh, and his orthodontic degree from Fairleigh Dickenson University. He also holds a law degree from Pace University. 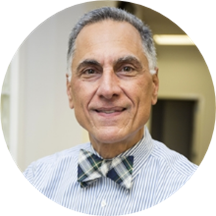 Dr. Ploumis has been a clinical associate professor in the department of orthodontics at the NYU College of Dental Medicine for 30 years. He holds active memberships in the American Dental Association, the New York State Dental Association, and the American Association of Orthodontists. Dr. Ploumis and his staff strive to make orthodontic treatment economical and beneficial to all patients. He is active in the Bushwick community and is a frequent contributor to civic causes that benefit all of our citizens. Dr. Eric Ploumis, DMD has no appointments on Zocdoc right now.